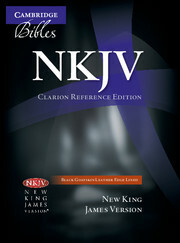 The New King James Version is a modernisation of the King James Version of 1611. 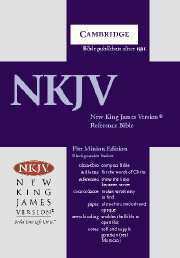 It preserves the KJV's dignified style and its word and phrase order but replaces words and expressions no longer easily understood. 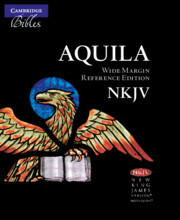 This is Cambridge's first Bible in this increasingly popular translation. 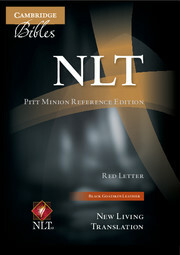 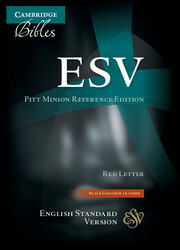 It is a centre-column reference Bible in the established Pitt Minion format. 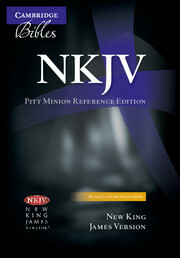 The NKJV Pitt Minion Reference Edition is compact yet its type is still large enough to read comfortably. It features red-letter text and includes full cross-references, a concordance and colour maps; it is printed on high quality India paper and is Smyth-sewn. This style features gilt edges and is bound in burgundy French Morocco leather.